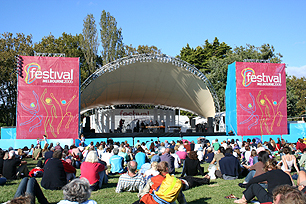 NEXUS presented three afternoon promenade concerts at the Alexandra Gardens Soundshell festival site on March 16, 17, and 18. 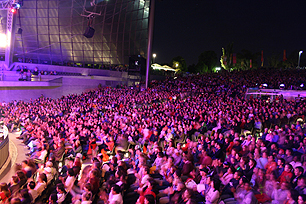 The concerts were free to the public and were each attended by hundreds of local listeners and international travelers visiting Melbourne to see the Commonwealth Games. 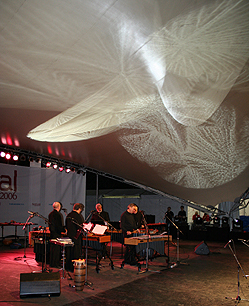 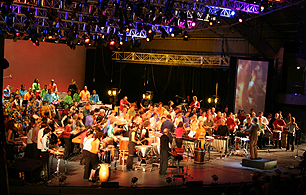 ‘All Star World Percussion Spectacular’ ConcertOn March 19 NEXUS joined with other visiting artists from Canada, England, India, Trinidad, Ghana, and Australia in a grand finale concert attended by over 12,000 enthusiastic listeners in the Sidney Myer Music Bowl amphitheatre. 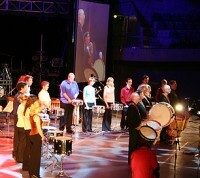 Also performing on the program were all of the young Australian workshop percussionists who had rehearsed with the artists during the preceding week.